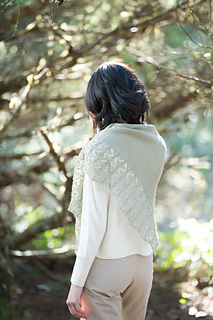 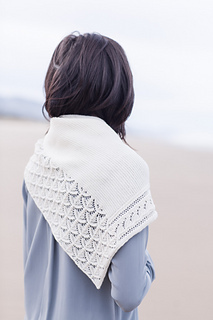 Plot your course with Shoal, an ever familiar triangular shawl made anew with a unique asymmetrical side-to-side construction. 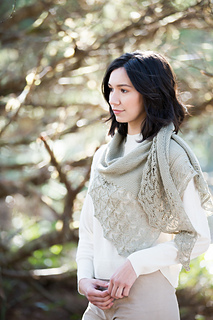 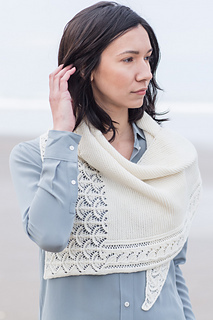 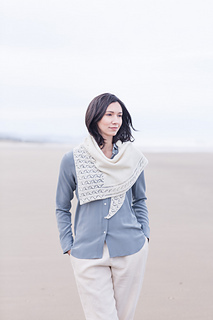 Then, watch seas of garter stitch, plunging waves, and the wings of waterfowl come together in a beautiful triumvirate, balancing textural and openwork stitches for a beautiful seascape to drape about your shoulders. 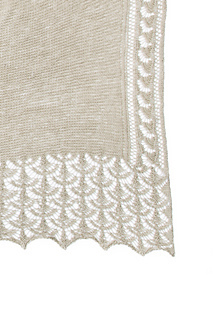 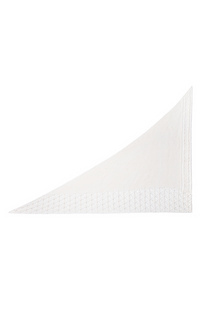 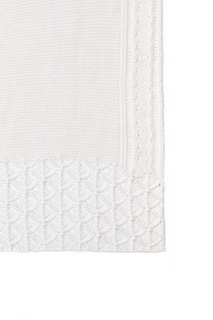 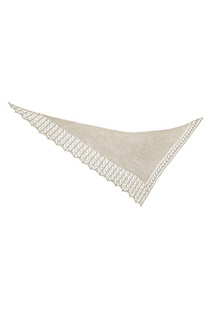 This shawl is worked flat from the upper right point to the opposite side; the lace motif is worked from charts only. 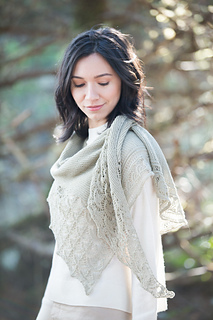 The Vale and Peerie versions are worked from the same charts and instructions, at differing gauges.